According to Reuters, Microsoft is now working on tech that would allow retailers to build checkout-free stores. However, instead of installing that tech in the smattering of Microsoft stores across the country, sources told Reuters that Microsoft has had talks with Walmart about a potential joint effort that could give Amazon some competition. 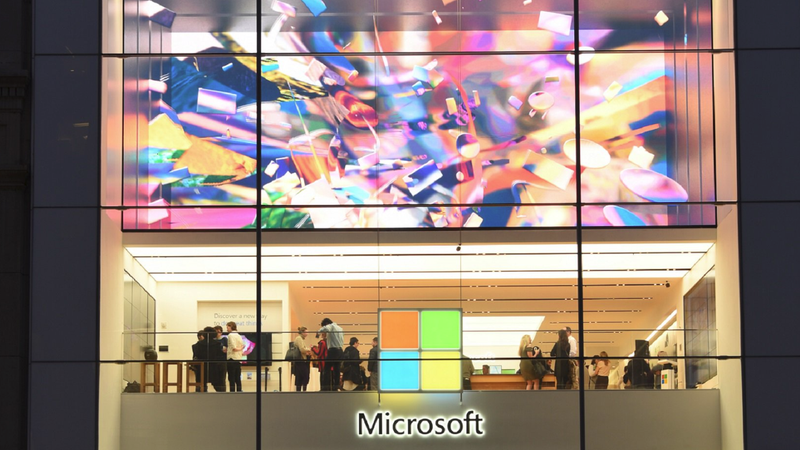 Reuters says that Microsoft currently has a group of 10 to 15 people dedicated to creating new retail store technology, and while the report did not mention a lot of specifics, one method the team reportedly explored was attaching cameras to shopping carts in order to track purchases as customers walked around stores. Moving into the world of checkout-free retail would put Microsoft in another head-to-head competition with Amazon, as the company’s Azure cloud storage and service business ranks second behind Amazon’s AWS. And let’s not forget about Bing, which remains an important competitor to Google in the world of search, despite being responsible for only around 7 to 10 percent of worldwide search requests (as opposed to figures of around 75 percent for Big G). However, with Amazon scheduled to open up more Go locations in Chicago and San Francisco, both Microsoft and Walmart are going to need to step on it if they don’t want Amazon to get too far ahead.